The watches are the main item of our business, whether vintage watches or the latest models, and both pre-owned and new watches. Our offer is characterized by its variety, in it you will find watches of the most prestigious Swiss brands in a wide price range , and being represented the different periods and styles of the wrist watches from almost its origin. The pieces of jewelry that you can find in our website can be vintage or modern, and both new and used, in both cases the prices are as the pre-owned jewelry, and substantially below the price of new market. The value of vintage jewelry depends not only on the value of the metal and gems, its value can increase by their age or the style it represent. If the customer wishes, you can request a gemological certificate of the piece to be acquired. Si el cliente lo desea , puede solicitarse un certificado gemologico de la pieza que se desea adquirir. It is a complementary section, whose origin is motivated because it is a shared passion for a large number of fans to the world of watches. In the beginning we have focused on high-end items. 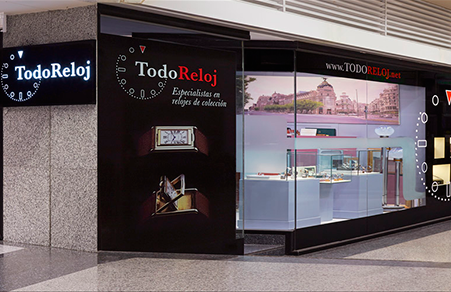 In this section, you will find components of watches of various brands, both used and new. As with our other items, the guarantee of authenticity and functionality is absolute.